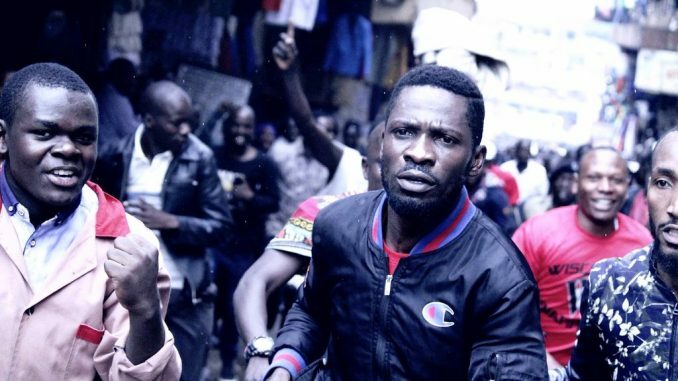 Kyadondo East MP Robert Kyagulanyi alias Bobi Wine will tomorrow appear before the Army Court Martial in Gulu. This was disclosed by the First Deputy Prime Minister General Moses Ali who was presenting a statement on the floor of Parliament about the fate of the missing MPs. Ali told Parliament that Kyagulanyi was found in possession of a gun. 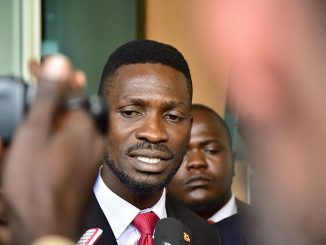 He also said that Kyagulanyi is receiving treatment at the Military Hospital in Gulu. He says that the other MPs like Mityana Municipality MP Francis Zzake, Ntungamo Municipality MP Gerald Karuhanga, Arua Municipality MP candidate Kassiano Wadri, Paul Mwiru, the Jinja East MP and former MP Mike Mabikke are under custody and will appear in the Gulu Magistrates court tomorrow. 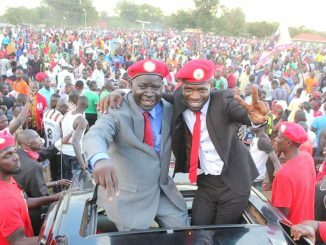 The MPs face tentative charges of obstructing the president’s motorcade and inciting violence in Arua district. 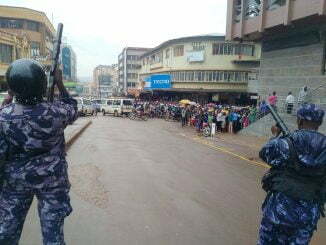 The MPs were arrested by the Special Forces Command (SFC) soldiers after unidentified people believed to be supporters of Kassiano Wadri, allegedly pelted the President Museveni’s convoy with stones. According to Moses Ali, a total of 33 people were arrested including the MPs. He also said the arrested MPs are accessible to their lawyers and family. Gilbert Olanya, the Kilak MP demanded the Minister to explain to the house about the allegations of the gun and its serial numbers. Makindye West MP Allan Ssewanyana accused the Government for falsely accusing the MPs. He demanded an explanation why they are in Military hospital. Six MPs were selected to travel to Gulu and attend the court martial They include Jacob Oboth Oboth, Allan Ssewanya, Medard Ssegona, Andrew Baryayanga, Dolly Amulle and Jovah Kamateka.